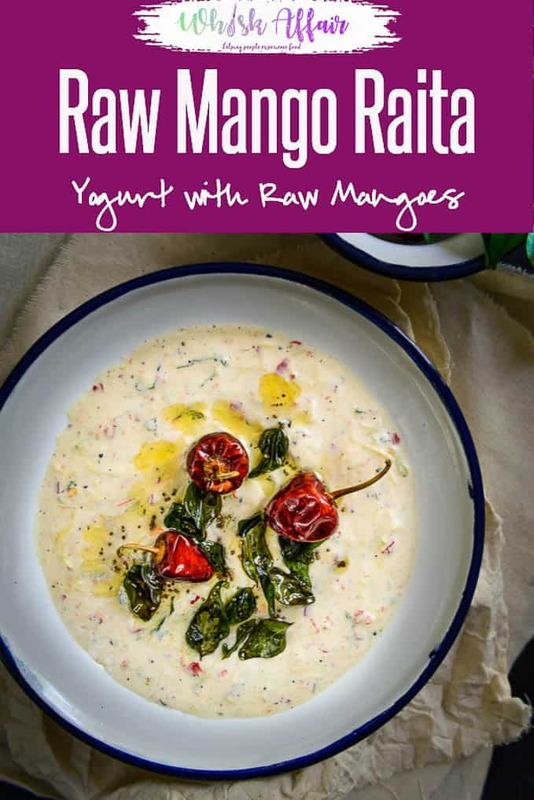 Kairi Ka Raita or Raw Mango Raita is a simple accompaniment made with raw mango and yogurt and it can be served with almost any Indian meal. Here is how to make raw mango raita. Raita is a simple accompaniment made using fresh yogurt and is great for health. In India, it is a part of most meals, especially in the South. There are often many vegetables added to raita, such as tomatoes, onions and carrots. Kairi Ka Raita or raw mango in yoghurt is a simple accompaniment that can be served with almost any Indian meal. Although raita is cooling and often eaten with biryani to cut the spice and heat, it can be eaten with plain white rice and gravy too. Raw mango is a juicy stone fruit that has a fleshy pulp. Unlike fresh ripe mango which is sweet, raw mango is sour, and is often used in Raw Mango Pickle, and dishes like Kerala Drumstick and Raw Mango Prawns, Coriander and Raw Mango Chutney and even in Aam Panna or Raw Mango Cooler. If you want more variations in raita preparations, try out the Vermicelli Raita, Boondi Ka Raita and Kaddu Ka Raita or Pumpkin Yoghurt too. 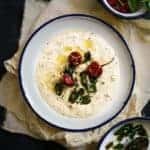 Fruit Raita can even be enjoyed as a snack or dessert. 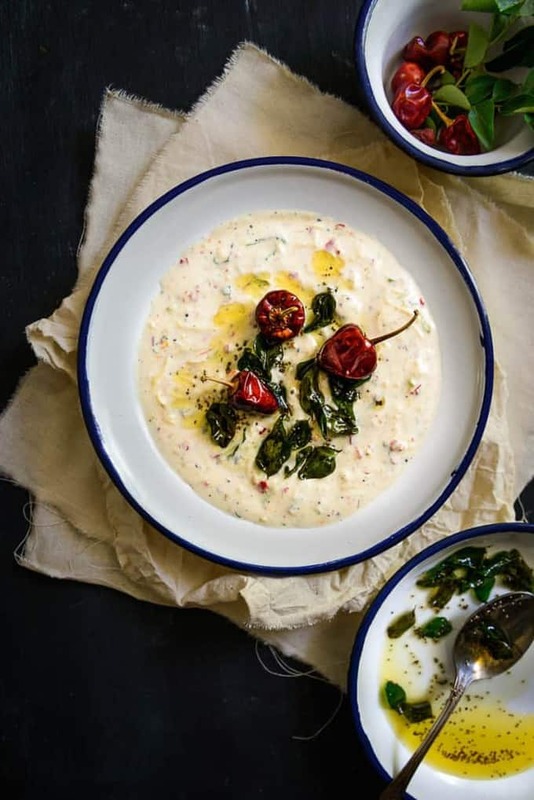 Here is how to make Kairi Ka Raita. 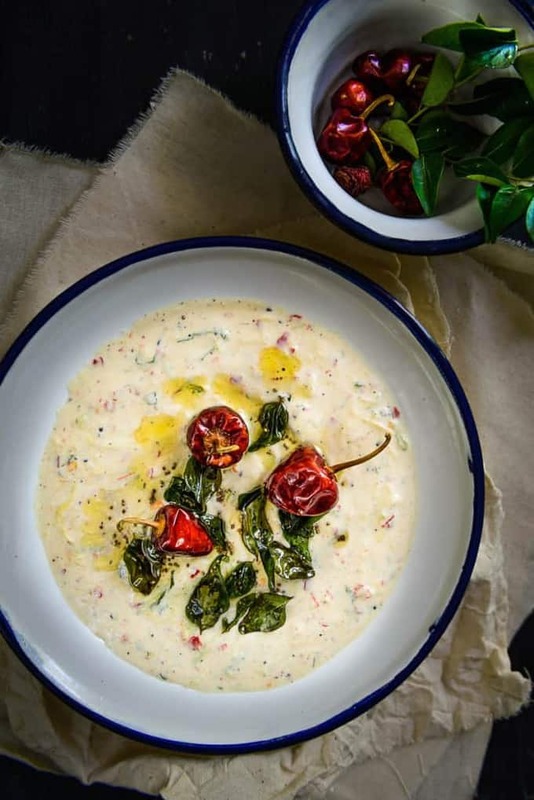 Kairi Ka Raita or Raw Mango Raita is a simple accompaniment made with raw mango and yogurt and it can be served with almost any Indian meal. Whisk yogurt until is creamy and smooth. Add all the ingredients in the yogurt and mix well. Once the oil is hot, add mustard seeds, curry leaves and dry red chillies and let them crackle for a few seconds. Pour the tempering over the raita and mix well.